I bet that’s his writing hat. I need a writing hat. I shall knit one forthwith. But more importantly, 750 pages is halfway! Hot dog! The end of the second longest book in the 100 Greatest Novels list is in sight! I am at the literary equivalent of halfway through a marathon, cross-legged in the line for the port-a-loos, choking down a banana wondering if that’s sweat or blood filling my shoes. And that’s the thing with this tombstone that hurts my shoulder when I put it in my bag. It is an amazing study of humans in a messed-up situation, I really am getting to know these prudes, libertines, cads, and the title indecisive stupid, insensitive arrogant girl very much. So I have yet to succumb to the Johnson’s prediction and hang myself, but I swear if this book doesn’t see them married someone’s gonna get hurt. Halfway, baby! Someone high-five me. Woohoo! Halfway! You can do it! Thanks! 🙂 I should probably tackle Pamela afterwards but I’m not going to! Good for you. 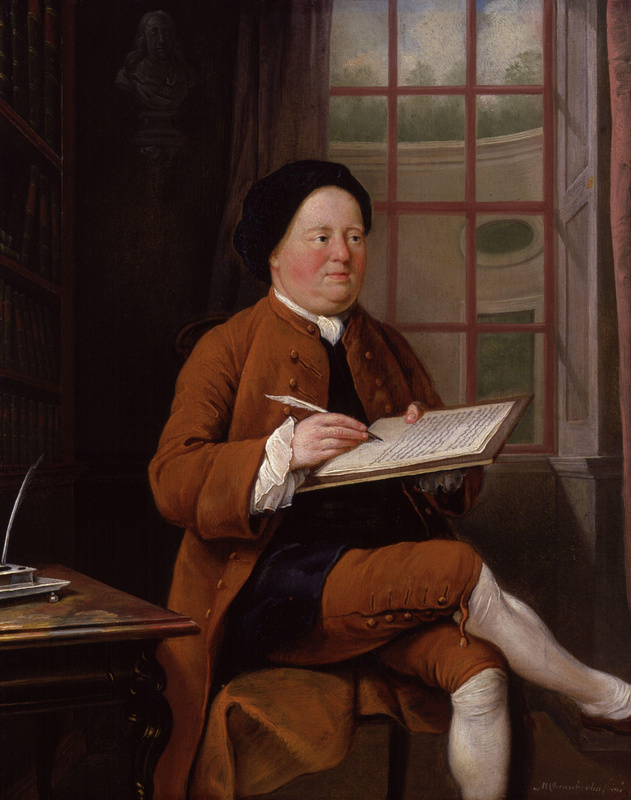 I am reading Pamela so slowly that combined with Samuel Richardson’s largo tempo, the story is moving along at the pace of a very lazy snail. Good thing I’m a polyreader, or I might slow to a complete stop and that would put an end to my reading altogether. Or I suppose maybe I’d read Pamela a lot faster! 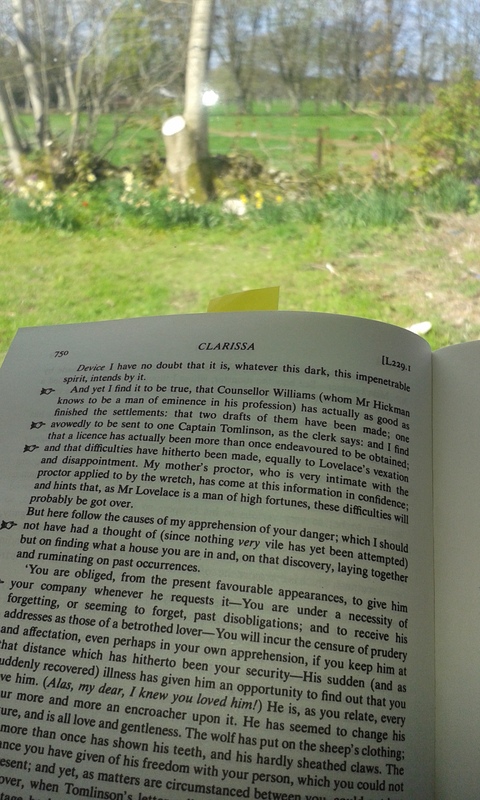 I polyread too, ten pages a day of Clarissa then a dose of a normal book to recover. My biggest problem is I don’t like Clarissa as a woman, I want to slap her through the book! Is Pamela annoying? I hope she’s not another daft young woman! Well good luck to you too, then! 🙂 Just think, one day we’ll be done with our annoying self-righteous women, and free to use them to prop up beds and sofas.